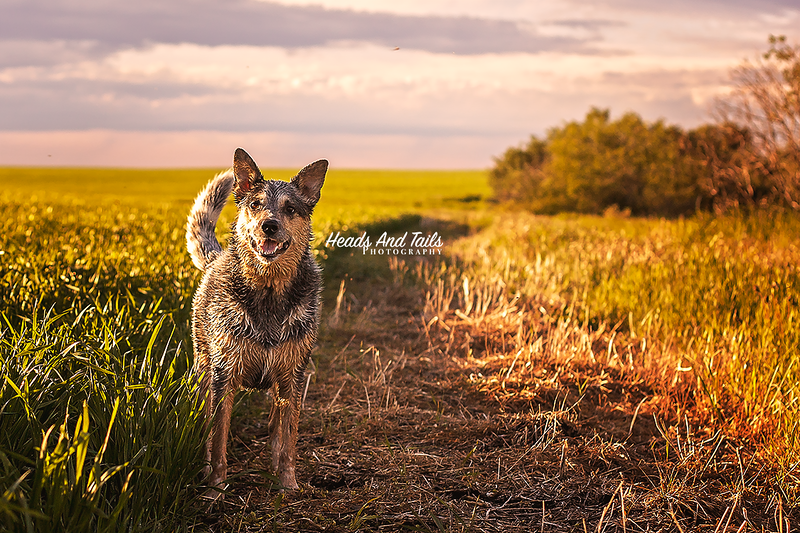 Outdoor dog photography sessions in Calgary Alberta and area. Mustard hanging out in the fields near Crossfield Alberta after the rain! He was all soggy for his dog portrait!